Prior to the dissolution of the legislature, Vancouver-Fairview NDP candidate George Heyman was his party's critic for the environment, green economy, and technology. In advance of Earth Day on Saturday (April 22), the Georgia Straight asked him several questions about how an NDP government would address environmental issues, including the $8.8-billion Site C dam in northeastern B.C. You can read his responses below. Georgia Straight: What would you like our readers to know about where you stand? George Heyman: I want your readers to know that there's a very, very strong environmental platform with the NDP. And on Earth Day, it's a good time for people to...think about our strong and unequivocal opposition to the Kinder Morgan seven-fold tanker expansion in our waters and that we will do everything available to a provincial government to frustrate this project and ultimately to do everything we can to stop it. It's just wrong. It's far too much risk. It tramples on First Nations' rights. It threatens our economy, our coastline, and our quality of life. And it runs counter to our climate-change commitments. People should also know we are committed to improving transit of all kinds in Metro Vancouver. We have said for several months now that we will fund 40 percent of all of the capital projects in the mayors' 10-year plan. That's the Broadway subway, light rail south of the Fraser, new buses, expansion of HandyDart, the Pattullo Bridge, and we'll work with the mayors on increasing service in all of these modes. Instead of [having] a provincial government that has frustrated cities in this region by refusing to even consider any of their proposals to move ahead with funding, we will actively work with them to move ahead and get the transit that we need to relieve congestion in the Lower Mainland and make a significant dent in carbon pollution. Georgia Straight: Some people are looking at your party's proposed elimination of road tolls and the impact on congestion. [Former Vancouver director of planning] Brent Toderian and [New Westminster mayor] Jonathan Cote are looking at this aghast. What would you say to voters who say the NDP doesn't get traffic demand-management? George Heyman: I would say to voters who are disturbed by this that we had a provincial government that said it was going to review our tolling policy for four years now and has done nothing. So we have tolls on two bridges that has been driving traffic to untold bridges, causing massive congestion on the Pattullo and along the main arteries in New Westminster. People are driving farther. They're idling in congested traffic and it's likely worse for climate impacts. What we need is to invest heavily in transit to get people out of the cars as a viable alternative. And we also need to work with the mayors in good faith on the variety of funding proposals they've put in place for transit, as well as on incentives to shift people from cars to transit. That's exactly what we intend to do. Georgia Straight: Does this platform rule out the possibility of a regionwide tolling approach? George Heyman: We've said that we'll work with the mayors in good faith on a number of issues that they've put forward in which they want to move. They haven't put anything forward as something to be developed in the short term but we will be happy to discuss it with them. Georgia Straight: On the weekend, Martyn Brown was writing very positively about your platform. But he did point out that there wasn't anything said about the Pacific Northwest LNG plant. In the past, the NDP has been critical of it. What is the party's position on that? George Heyman: We were more than critical of Pacific Northwest LNG. We wrote a letter to the Canadian Environmental Assessment Agency and flat-out opposed it. One of the reasons we opposed it was the massive amounts of greenhouse gas emissions associated with the upstream extraction of gas, as well as the threat to fish habitat at the other end. It may be possible to do some LNG under certain conditions and fit within the hard targets that we've proposed. The Climate Leadership Team certainly thought so. But this project was designed to maximize emissions, not reduce them. That's why we opposed it. Georgia Straight: Now that the Trudeau government has given it a green light, is it a done deal? George Heyman: Nobody has made a final investment decision. Just because the Trudeau government said yes doesn't mean that we've said yes—unlike Christy Clark, who throws up her hands when the federal government says they're approving Kinder Morgan, and says "we did our best." We remain opposed. George Heyman: I don't know what it means, frankly. What I will say is our commitments in the platform are firm commitments. That's what we intend to do. We intend to make life more affordable for British Columbians. We intend to improve services and make them more accessible. And we intend to create a modern, diversified economy with good jobs in every corner of B.C. The details about how we're going to do that is what the platform is all about. Georgia Straight: With regard to distributed approaches to energy, are we going to see that from an NDP government and B.C. Hydro? George Heyman: For a year and a half now, we've had an energy plan called Power B.C. out. First and foremost, it calls for aggressive demand-side management and energy conservation, starting with buildings, moving on to commercial and residential, maximizing capacity in our existing dams, and then taking advantage of dropping prices and improving technology in distributed renewables. We think that's far better for the ratepayers. It's the path we'd like to take. Unfortunately, without going to the B.C. Utilities Commission for review, the provincial government has plowed ahead with Site C and irresponsibly says it wants to get it past the point of no return. An NDP government will send Site C to the B.C. Utilities Commission for an independent review to determine what's in the best interest of ratepayers and taxpayers. I'm convinced the answer will be proceeding with a plan very much like our Power B.C. Georgia Straight: Even though B.C. Hydro has been talking about turbines arriving at Site C, this still doesn't necessarily mean it's going to go ahead? It's going to still require the BCUC to do some sort of evaluation? George Heyman: We'll send it to the BCUC for review. We don't know how much money has been sunk into Site C. We're pretty sure that it's going to go well over the $9 billion budgeted. I think British Columbians and the BCUC need to look at how much more money is going to be dropped into this white elephant. And what could we do with that money to drive rates down for British Columbians and create more jobs rather than the other way around: fewer jobs at higher rates under Site C? Georgia Straight: Do you know how much has been spent [on Site C] so far? George Heyman: No, we don't have access to those contracts. That's exactly why we're saying we want to send it for review. Georgia Straight: It could be even $2 billion already. George Heyman: It may well be but we just don't know. I know that sending it for review to the utilities commission has won support from strong opponents of the project in the north. Like Ken Boone, whose farm has been expropriated...and [he] expects that British Columbians want an independent review about what's in their best interests. He gets that. Georgia Straight: Martyn Brown says the NDP climate action strategy is a plan to develop a new plan under the auspices of a reconvened Climate Leadership Team. Is that accurate? George Heyman: No, that's not accurate. We adopted the carbon-pricing regime set out by the federal government. We've told British Columbians exactly how we're going to implement it in a predictable and gradual way. We've told them how we're going to give rebates to 80 percent of B.C. families—low- and middle-income families—as well as support green initiatives. And then we've endorsed all of the other recommendations of the Climate Leadership Team. The reason we're bringing the Climate Leadership Team back together is in order to meet the recommendations they've made, which include very aggressive targets for emission reduction—as well as targets for zero-emission vehicles and reductions in housing, transportation, and industry. We need to bring people together to outline the very specific steps that we can and must take in order to meet those targets. But the key is the targets, respect for low- and middle-income British Columbians, and protection for emissions-intensive industries as we help them transition to lower emissions without killing jobs in British Columbians. 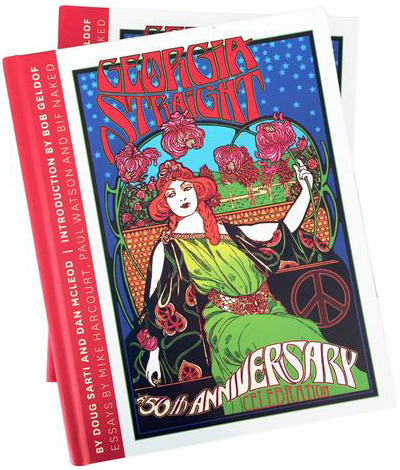 Georgia Straight: Are there any other points I missed or any other points you would like to mention? George Heyman: Yes. One of the things that is very important to us is to redo B.C. 's totally flawed environmental assessment process so that we have something that's transparent, science-based, and in which British Columbians can have trust and industry can have some sense of what standards they need to meet in order to make successful proposals. We need to do this in partnership with First Nations and we will. We need to consider cumulative impacts, climate impacts, [and] watersheds to protect safe clean water for drinking and other purposes for British Columbians. George Heyman: We're also going to outlaw the trophy hunt of grizzly bears.